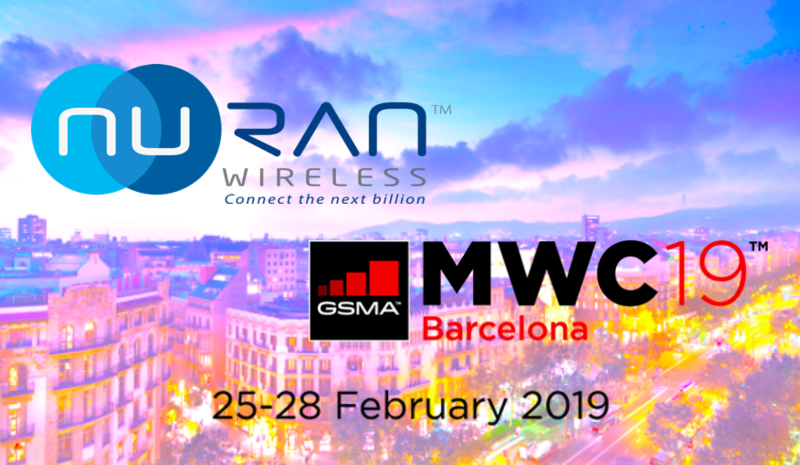 NuRAN Wireless has just completed what seems to be quite the successful turnout at this years Mobile World Congress in Barcelona. What could this mean for the company and its shareholders? Mobile World Congress is the world's largest technology congress, hosting large companies such as Huawei, Microsoft, Intel, Oracle and Nokia as well as other large telecom companies including Orange and IntelSat. This years MWC reached an attendance north of 107,000 people and not only the large corporations were main attractions. In order to be able to grasp exactly what shareholders can expect from such a coveted event, first we must look at a previous conference and what transpired from the event and compare the size of the two to get a full scope. Africacom was held November 13th through the 15th and had over 14,000 attendees with 450 exhibitors. Post Africom, on November 14th,2018 the company announced that they signed a trial agreement with an undisclosed Tier-One mobile network operator for Kenya with trials expected to be completed within Q1 2019. Francis Letourneau was quoted “We are very pleased to be entering the Kenyan market. This deal represents a small sample of many more agreements expected throughout Africa and the rest of the world with a number of Tier One operators.” As we can see, the Africacom conference was a success and resulted in purchase orders and a new market for the Company. January 17th, 2019, NuRAN Wireless Inc announced the conclusion of a conditional trilateral sales agreement with an undisclosed African Mobile Network Operator (the “MNO” or the “Client”) and Spacecom, operator of the AMOS satellite fleet. NuRAN will be offering a turnkey solution to the undisclosed MNO under the Mobile Network Enabler (“MNE”) business model which was launched on October 9, 2018. Martin Bedard, Chief Executive Officer and President of NuRAN Wireless, stated: “This is our first major project under the MNE model and could result in up to $9 million CAD in sales over 12 months and a total of ten times that, or close to $90 million CAD, over the lifetime of the scale up.” Mr. Bedard continued: “It is through contracts like these with global players in the space that the Team’s efforts really become apparent. All of these events came in the wake of attending Africom. So, it is a reasonable expectation that NuRAN will come away from MWC 2019 with some material news - we just don’t know what yet. We think that over the next 3-6 months there will be a flurry of deals that will be announced, deals that were originated at MWC 2019. Furthermore, few days ago NuRAN Wireless has announced that the company closed its first tranche of the private placement totaling CAD $1,107,000 with management taking in 18% of the private placement. It's important to note that the company’s’ CEO Martin Bédard invested $135,000 of his own money into the private placement and brings more importance to our recent article When Skin In The Game Matters for Investors . It's important to see a company’s CEO participate in a large manner like this and no investor or speculator can say otherwise as the CEO commits over six figures of his own money into his company. This is quite the bullish signal investors should look for. Additionally, here is an important piece of information from that press release which investors need to pay attention to: “The Company intends to use the net proceeds from the Offering to continue advancing its expansion into major foreign markets such as Africa, Mexico, Latin America and South East Asia by bringing mobile connectivity to the unconnected and continuous development of its upcoming Multi Standard LiteCell xG.” It's very interesting that the private placement will be for the expansion into international markets and the funds of the placement should serve to provide more catalysts in the near term for its investors.